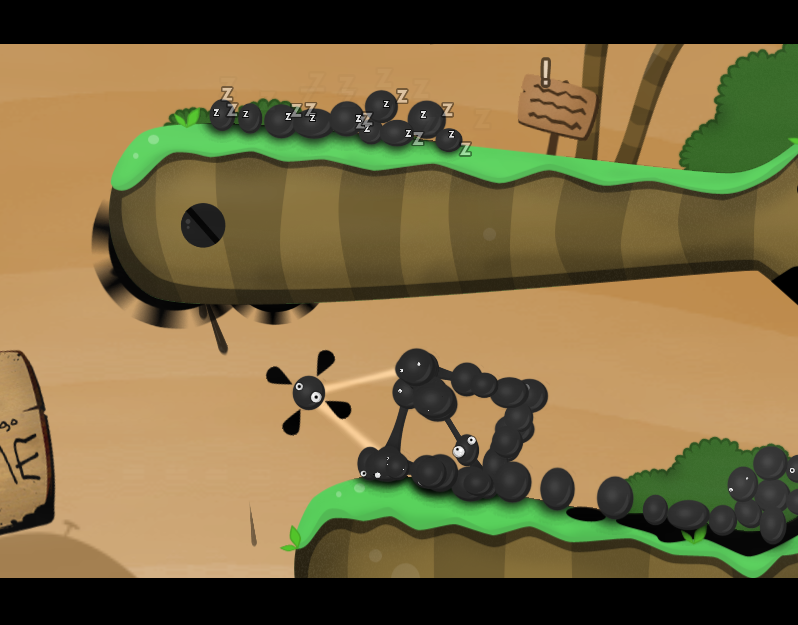 Almost a decade after its release, World of Goo remains a top-notch puzzler, complete with all the creative mechanics and macabre visual touches its developers could impart. Whoa, man. Has it really been almost a decade since the original release of World of Goo? Well, as the cliche goes, time flies when you’re having fun. In a way, this game’s return is perfect for the early days of the Switch console; just as the original release in 2008 helped to usher in Nintendo’s first shaky relationships with indie developers on the WiiWare service, this 2017 re-release rings in an entirely new era of so-called “Nindies” — one that, presumably, will find them at a happy medium between their developer-unfriendly Wii days and the era of ludicrous shovelware that was brought on by the Wii U’s Web Framework. To put it another way, after the impressive showing of their Nindie Showcase in late February, what better games could help cut the ceremonial ribbon for a flood of awesome indie titles on Switch than one of the earliest successes for WiiWare and a certain other game that previously couldn’t make it onto Nintendo platforms thanks to the company’s outdated policies? But I’m here to talk about World of Goo, of course. Does this 9-year-old game hold up to 2017 scrutiny, particularly after the cavalcade of indie puzzlers that have followed in its footsteps? Well… yes. Yes, it absolutely does. The truth is, Tomorrow Corporation’s combination of bizarre, Burton-esque aesthetics and creative, varied gameplay options has given their efforts a sort of “timeless” feel that I’m willing to bet will see them continue to be remembered as some of the most beloved in the early history of mainstream independent game development. Certainly, I felt affection the moment I heard the first notes of Kyle Gabler’s whimsical score start up; though I’ve never actually played the game myself, it’s one I have a secondhand fondness for thanks to the memories and stories of my family members playing it — my, brother, sister-and-law and husband were all absolutely enamored with the Wii version, and my father (who basically stopped playing games after the era of Battlezone and Karateka) honestly shocked me when he revealed he’d installed the mobile version on his phone to pass the time. That this game can reach such a wide audience, even in my small circle of loved ones, speaks to its ease of accessibility. At its core, the main objective is simple: extend the little goo balls to build structures that allow them to reach the end-level pipe and escape. Naturally, as in any great puzzle game, the level designs and variations make this a lot more complicated as things progress. Since this is the Switch version, you can use either of the previous configurations — touch screen or motion controls — to maneuver your goo balls around. Personally (and to my surprise), I actually found the motion controls to be the more intuitive option. With rather large fingers, I found myself grabbing things I didn’t necessarily want to grab on the small touchscreen, which occasionally led to frustration as I dismantled part of a structure I’d worked so hard to build. On the other hand, the Switch’s “pointer” controls — which now operate via the Joy-Con’s gyroscope without the need for any sort of goofy Wii Sensor Bar — offered a level of precision and sensitivity I wasn’t expecting. 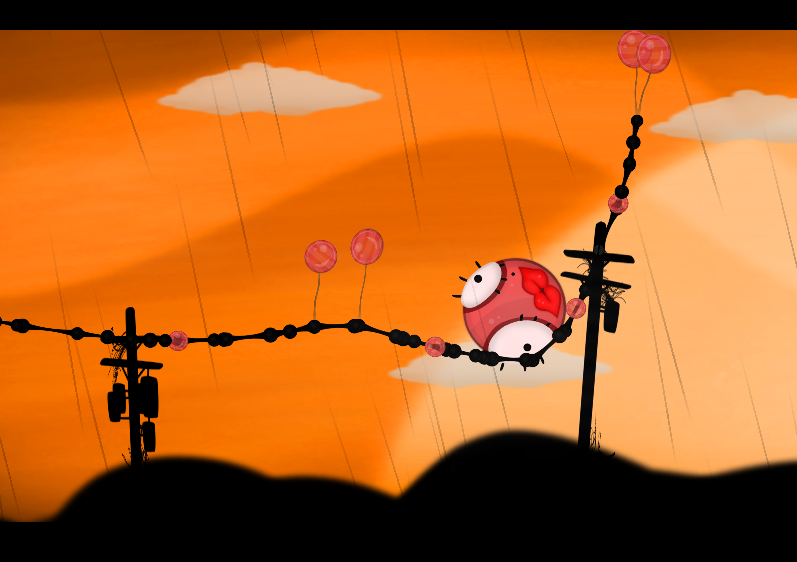 As I mentioned, the joy of World of Goo comes from the excellent level design, which constantly ups the ante and forces the player to think about things in new and unexpected ways. And unlike some other puzzle games where a couple of worlds need to go by before things actually get interesting, Tomorrow Corporation’s game offers a fairly steep challenge by the fourth or fifth level. Right in the first world, you’ll have to contend with building upward momentum in an open space where the slightest tilt to the left or right can bring all your efforts down; using balloons to hold your bridge up over a gap, but making sure they don’t float too high so they don’t pop on the spikes above; and collecting stubborn immobile Goo creatures who can’t be picked up via touch or motion controls but are vital to the required end-level total. Of course, things only get more creative and kooky from there. It’s this ability to pick up and start playing, and then almost immediately be struck by the surprising nature of a level’s puzzle, that makes World of Goo so compelling for players of all kinds. I mentioned the aesthetic of Tomorrow Corporation’s games as being “timeless” earlier, and I really believe that to be true. With a creepy-cute cartoon vibe that brings to mind the work of Jhonen Vasquez, Tim Burton and Henry Selick, artist and composer Kyle Gabler left an unforgettable impression on World of Goo (a project of his original game studio, 2D BOY) that’s carried through to Tomorrow’s following projects Little Inferno and Human Resource Machine. Through both visual art and music, Gabler creates a shaky balance of sinister whimsy that — while I can compare it to others — is really all his own, and it’s one of the most memorable and beloved things about this classic indie for a reason. That also brings me to the Switch’s only real advantage over other versions, but it’s a good one: a new soundtrack mode that allows you to listen to Gabler’s compositions for the game in their entirety. Whether you played the original eight years ago or you’ve never touched a Tomorrow Corporation game, if you own a Switch, you owe it to yourself to at least consider picking up World of Goo. In the early days of the new console’s life cycle, great experiences can be a bit difficult to come by, but here’s an old title that perfectly fits with the Switch’s philosophy — whether you’re using the touch screen in portable mode or sitting on the couch with some friends helping you solve the puzzles, this little gem plays as well as it did in 2008. This review is based on the Nintendo Switch version of the game, which we were provided with.